For the second year I have been over to the mediaeval city of Den Bosch, in the Netherlands, having fallen in love with it last year and had the wonderful bonus of meeting Ralf and Thijs with his family. This year, apart from my own wanderings, Thijs and I met up again, this time for two weekends plus the extra day chasing the QM2 out to the Hook of Holland. It was so very good to see him and his family again and once more he had planned some great visits. They were to such varied places and each one was a delight. It is nearly four weeks since I returned but Thijs knows the cause of the delay and at least it gave us a chance to thoroughly enjoy Ralf's account of his locks marathon! By mistake a few weeks ago, I posted a "taster" for this thread on the "FAMILY MEETINGS and photos from the FAMILY ALBUM" thread instead of starting a new one. Our photos of each other will no doubt appear there but this is where we'll show you what we got up to. 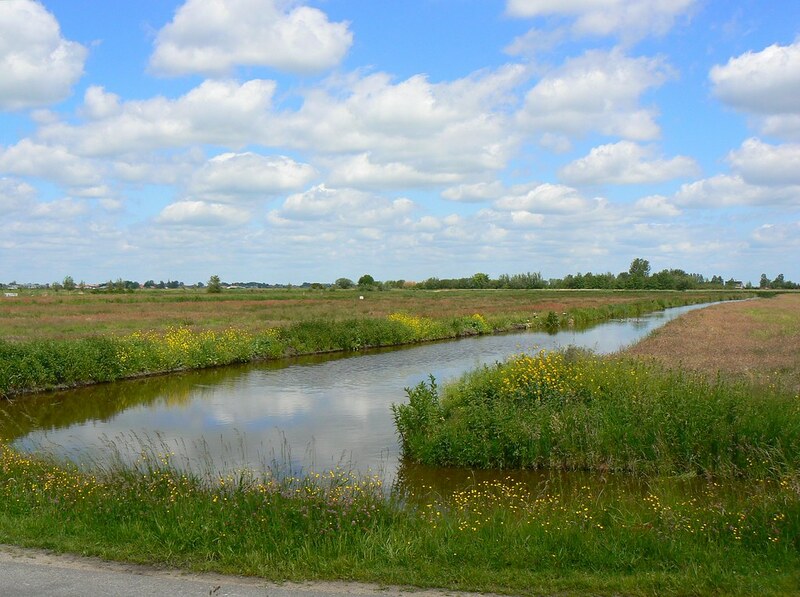 The archetypal scene of Dutch countryside, you will think. 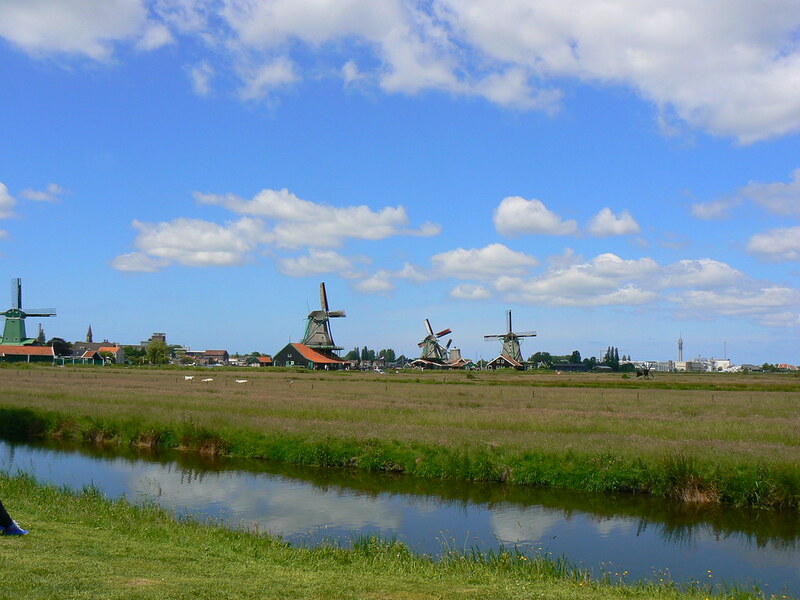 Certainly of Dutch countryside as it once was, but it is places like this that I really enjoy seeing, for not only are they preserving the mills for people of today to see but they also demonstrate the varying uses to which these wind harvesters were put. 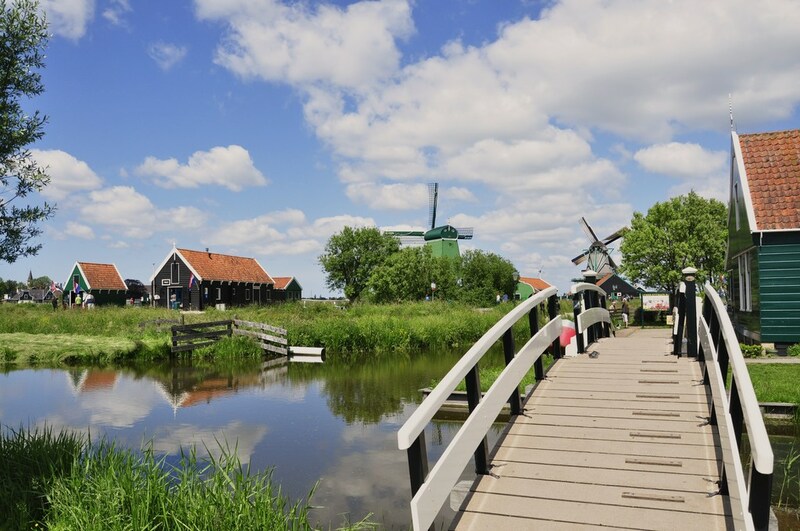 This morning Thijs had brought us (Wesley, Cornel and I) to Zaanse Schans a large village in the province of North Holland just north of Amsterdam, which has an open-air museum of mills in addition to its own historic houses. We concentrated on the mills, for we had a date with a couple of ships that afternoon. 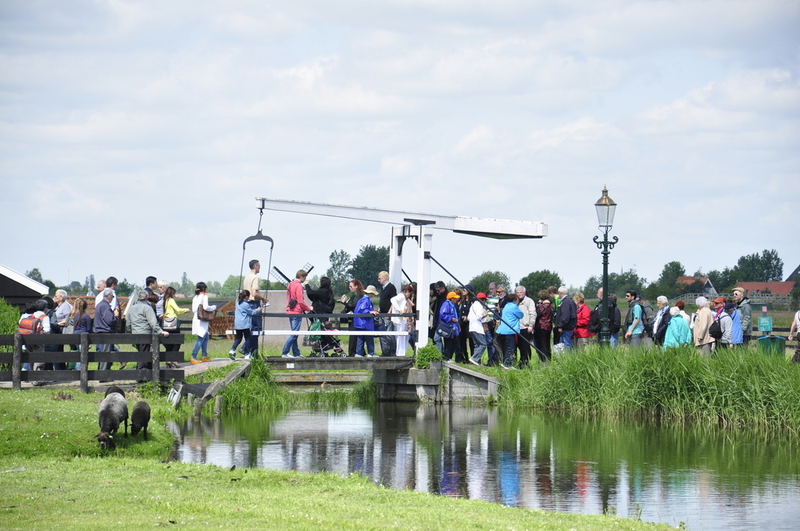 I think it was Thijs, or maybe Cornel, who asked me during our exploration whether I preferred Kinderdijk, which Ralf and I enjoyed last year, or Zaanse Schans. I tried not to be biased because the weather was not kind to us last year and the dull sky, thick with grey clouds, did not provide the best background for seeing and photographing the mills. I did really enjoy that trip, it was an education as well as being fun, so I was not actually able to answer the question at the time. But now, on reflection, I think probably this year’s site just about wins the day. Yes, the sunshine made such a difference, but the main factor was that these were working mills which, whatever their original purpose, were now used in different ways. They had been brought from other areas and in many cases renovated or reconstructed, but all had a specific job to do. 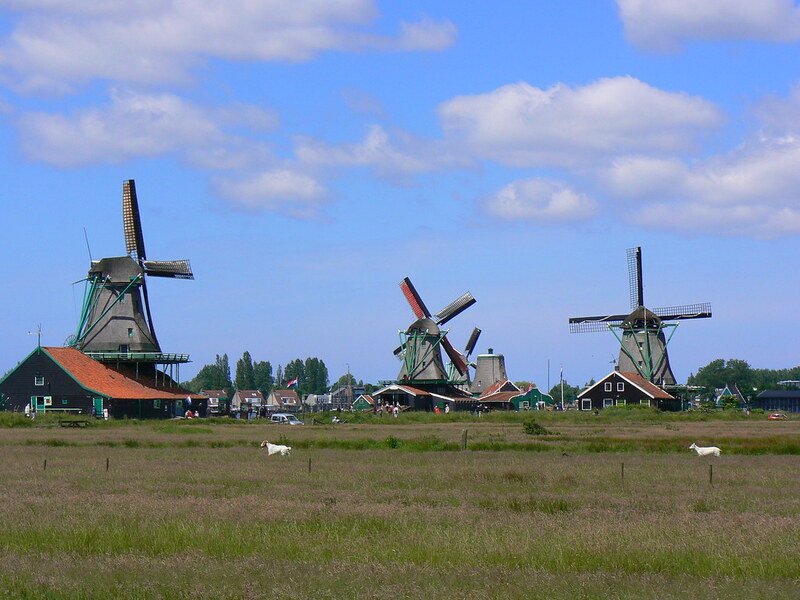 Left to right: De Kat (The Cat), a mill used to grind pigments to make paints and dyes; De Jonge Schaap (The Young Sheep), a sawmill, and De Zoeker (The Seeker), grinding seeds and nuts to extract the oil. 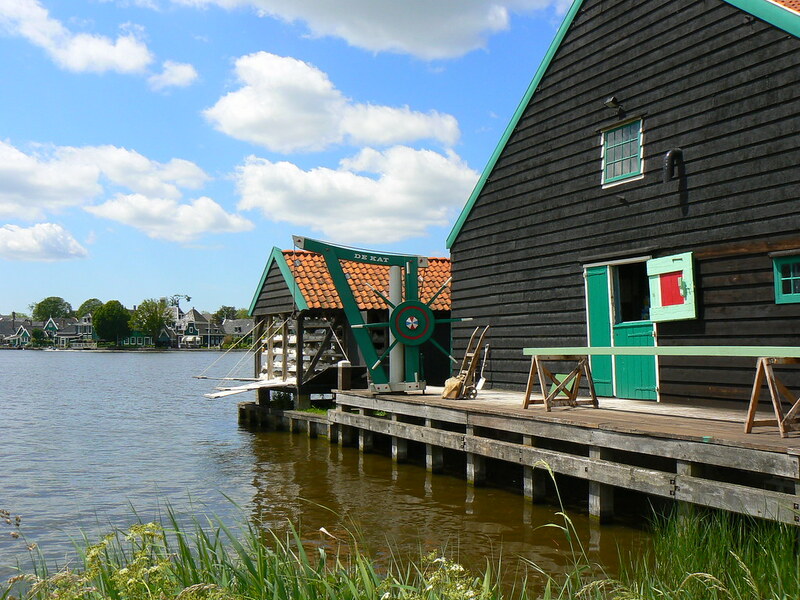 I hope this is correct, Thijs, I found some discrepancy on the Wiki sites’ photos but eventually found http://www.zaanseschans.nl/ from which I have taken the order. De Kat and Het Klaverblad were the only ones of my photos which showed names. Last edited by wherrygirl; July 8th, 2012, 20:37. 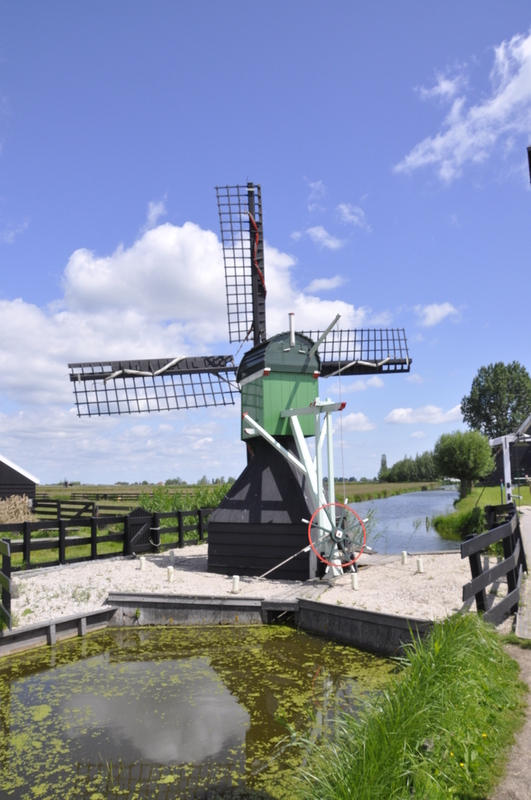 This one is near the entrance and apparently is one of the oldest types of mill, originally used to drain the polders - which in my ignorance many years ago I thought was what all Dutch windmills were for. (Sorry Thijs! 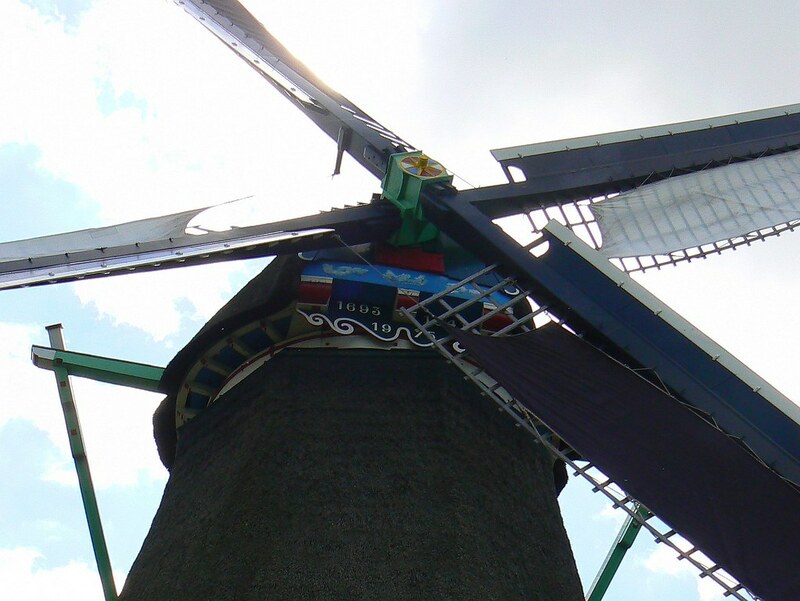 You're certainly educating me about mills now, both by the photos you've posted on other threads and also by taking me to see them). when Ivy told me that she was coming over for holiday,i had to think where to go. 1 thing was clear,i would show her the QM2 on a thursday,you could have seen those images in her (QM2) thread. another thing was that I wanted to go to Amsterdam for the ''Brilliance of the Seas" that also was in that time she was here. but i made out a mes of it,i know that she could see the QM2 so she was here that time and i was thinking al the time she came over short for that,i never looked at the dates,i thought she was here a week later, thinking where to go with her, but at the end, everything falled in place. 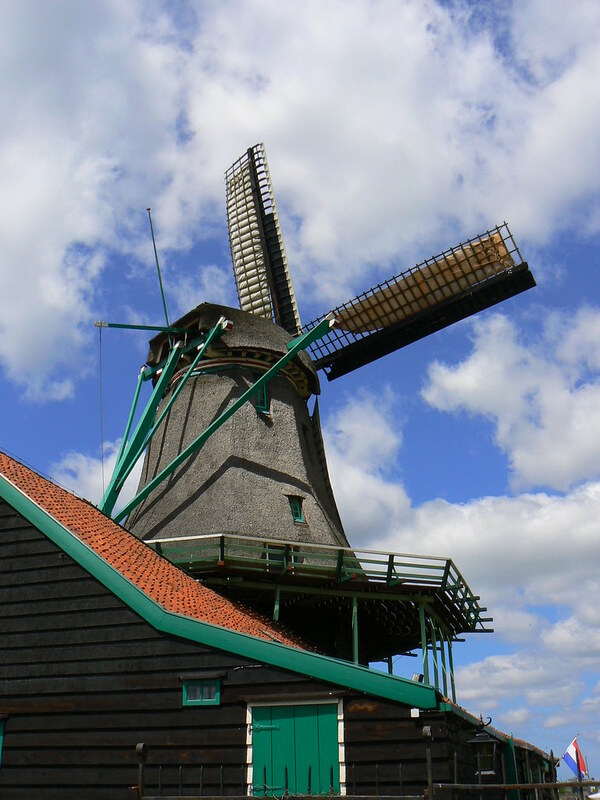 so to see the ''Brilliance of the Seas'' and (just a few days before i saw that also the ''eurodam'' would leave 30 minutes after the ''briliance'') i planned it that we go to the ''Zaanse schans'' an open air museum with mills and old houses (and go from there on time to go to Amsterdam to visit the vessels).cruise companies are there to visit as wel while at the photohouse (you do show us the calender ,he Ivy?) are the markers for the ''brilliance of the seas'', ''eurodam'' and for a msc vessel (which i can't remember). odd didd't see it at the cruise terminal site. well,she wasn't there aswel,she was moored in IJmuiden,which also have a cruise terminal. so it was crouwded there that day,but we could make lots of images. but lots the same offcourse. 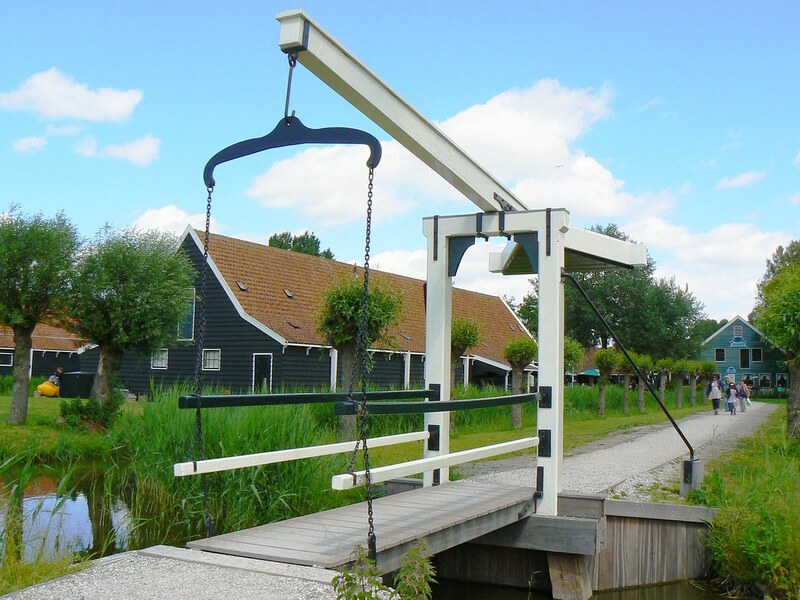 so according to Ivy is this ''de hadel'',a small watermill. some scenery of some houses and mills. You made no mess of it, Thijs, just a mistake as to the weeks, but it all worked out beautifully. 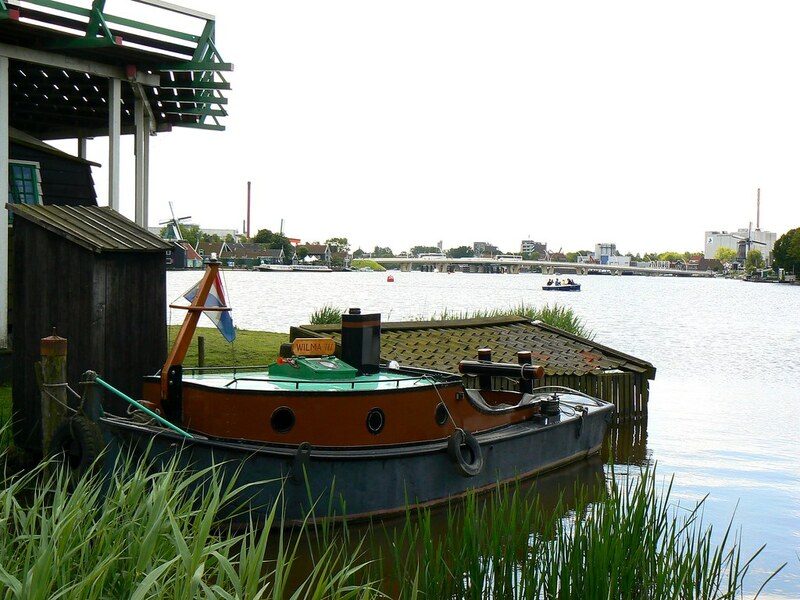 At first, when I was assuming that I would only see Thijs one weekend I was already planning to go to Amsterdam myself to see the Brilliance of the Seas and had checked with Thijs as to the correct terminal to go to - just behind Amsterdam Centraal station. So I was delighted when I found that he had included it in the planned itinerary. Yes, I'll scan in the calendar and post it here or in the Family Photo thread, Thijs. Last edited by wherrygirl; July 9th, 2012, 16:41.
this is the bridge near ''de hadel'' taken from your bridge. Last edited by janihudi; July 9th, 2012, 21:53. Thanks for the correction, Thijs. I'm glad we didn't have that many "crocodiles" to contend with, although there were plenty of people there I never felt crowded. 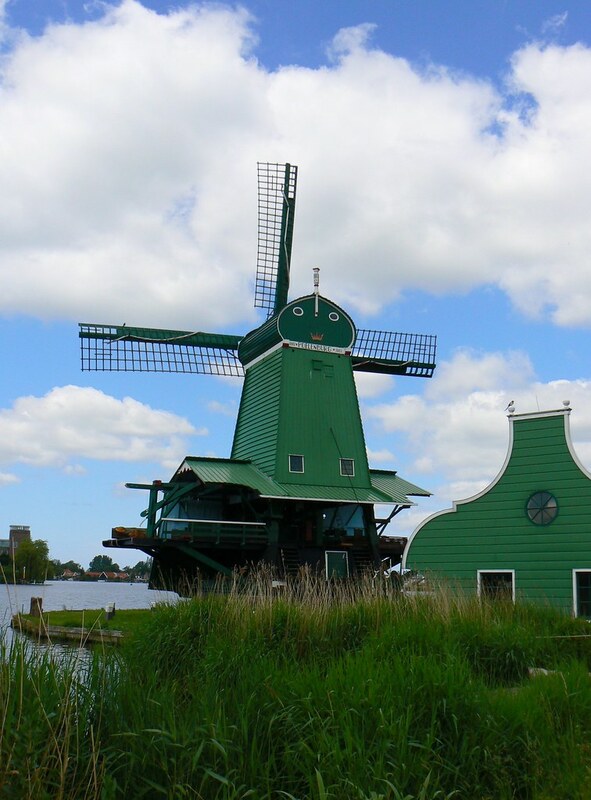 This is De Gekroonde Poelenburg (The Crowned Poelenburg), a post mill in which - unlike other mills - the whole body rotates on rollers when it has to be turned to catch the wind. It is used as a sawmill. De Kat (The Cat). I find it easy to remember this mill's name as the first view shows what in English is called a cat-slide roof! De Kat grinds pigments for making paints and dyes. I think this next one is also De kat - Thijs will soon put me right if it's not. Last edited by wherrygirl; July 9th, 2012, 23:51. Wouldn't mind one like that! 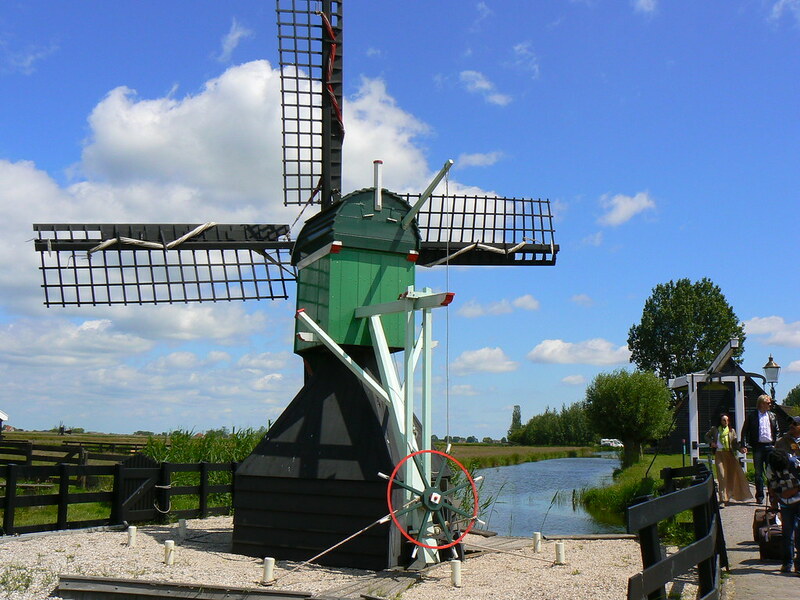 I wonder if Thijs has a photo of the complete mill Het Klaverblad (The Four-leaved Clover)? For some reason I only took this one - something else must have caught my eye! The four leaflets apparently represent the miller's four daughters - lovely idea, like the naming of the Janihudi. That date is 22.6.85 but the mill is very new, being built between 2000 and 2005, so maybe it is the date of the fourth daughter's birth, or somesuch idea. This one is also a sawmill, a small one. 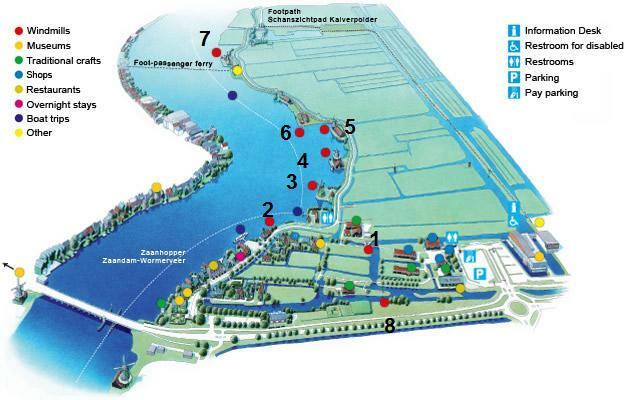 no Ivy ,this is ''de bonte hen'' the last one,nr 7 on the map. you kan also seen in at the colore of the sails,and the way how they are rold out.